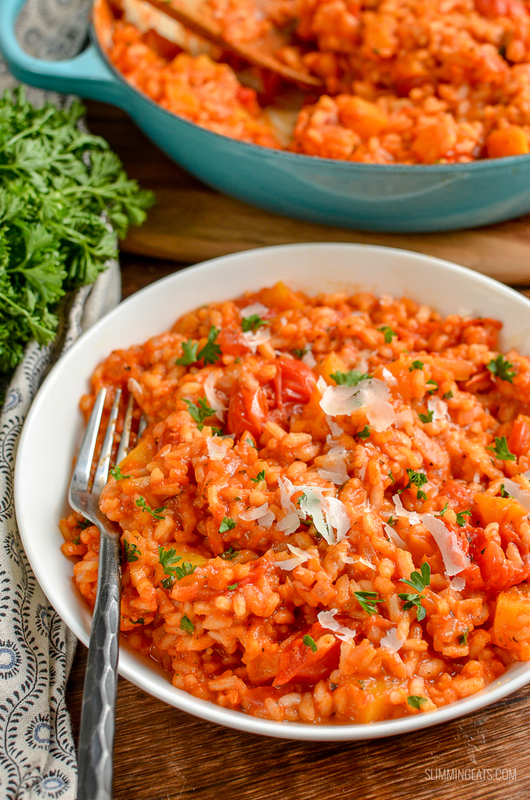 This Roasted Butternut Squash and Tomato Risotto is a perfect meal for the entire family. 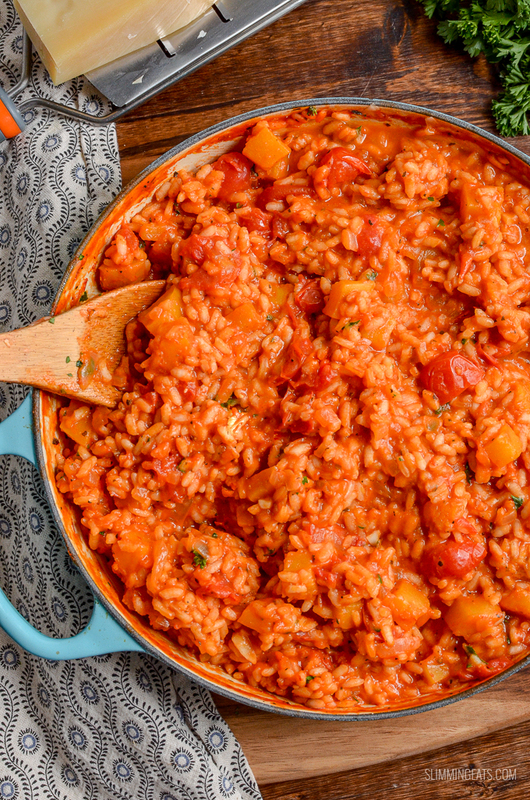 Kids will love the sweetness of the fresh tomatoes and roasted squash and that yummy cheesiness from the parmesan if using as part of your healthy extra a choice. If you don’t want to use a healthy extra this is perfectly delicious without the cheese. Whenever I make this we get clear bowls all around, the kids devour theirs and often ask for seconds. Which is always a clear sign they enjoy the meal you have served. 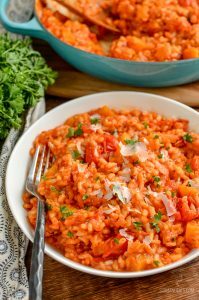 I love the ease of risotto dishes like this Roasted Butternut Squash and Tomato Risotto, all cooked in one pan with minimal fuss. Of course, this risotto does require you to follow an additional step of roasting the butternut squash, but’s it’s so worth it. Roasted butternut squash is one of my favourite speed foods. It satisfies those cravings for starchy carbs while actually been a speed food. 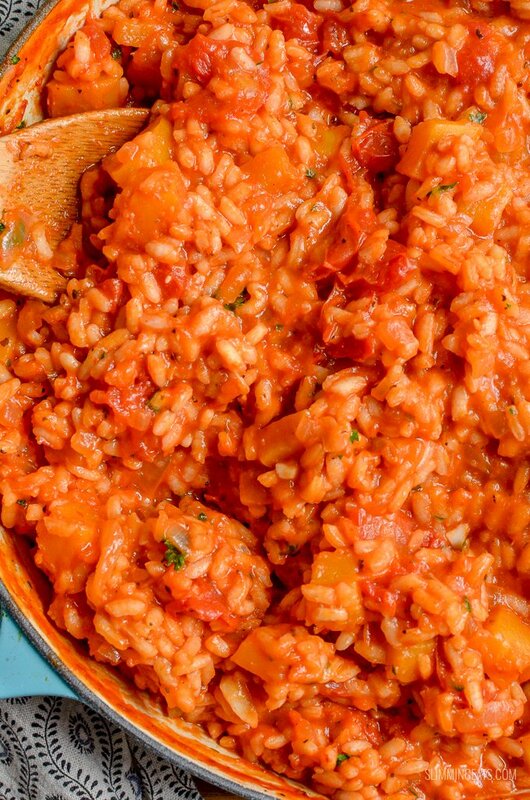 HOW CAN I ADD A 1/3 SPEED FOODS TO THIS ROASTED BUTTERNUT SQUASH AND TOMATO RISOTTO? 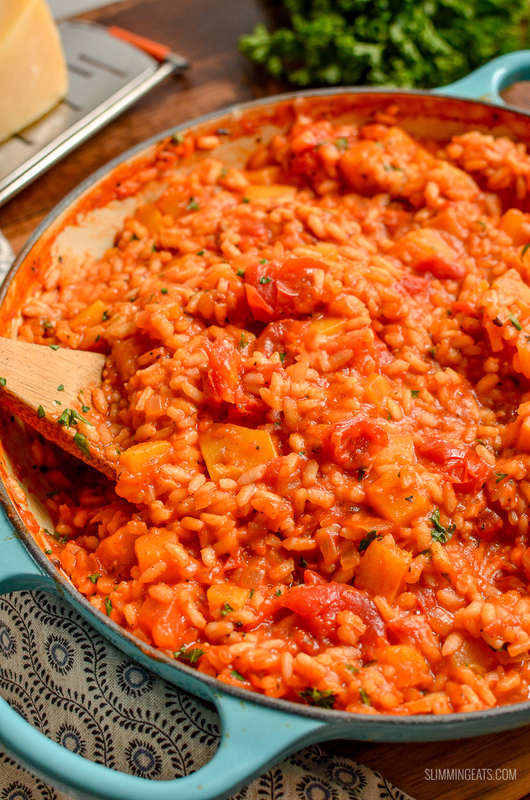 There are actually already plenty of speed foods in this risotto with the onion, squash and tomatoes etc – but if you really want to up your speed foods even more, enjoy a smaller bowl of this and serve alongside a nice mixed salad. If you don’t fancy salad try it with some roasted asparagus or broccolini. 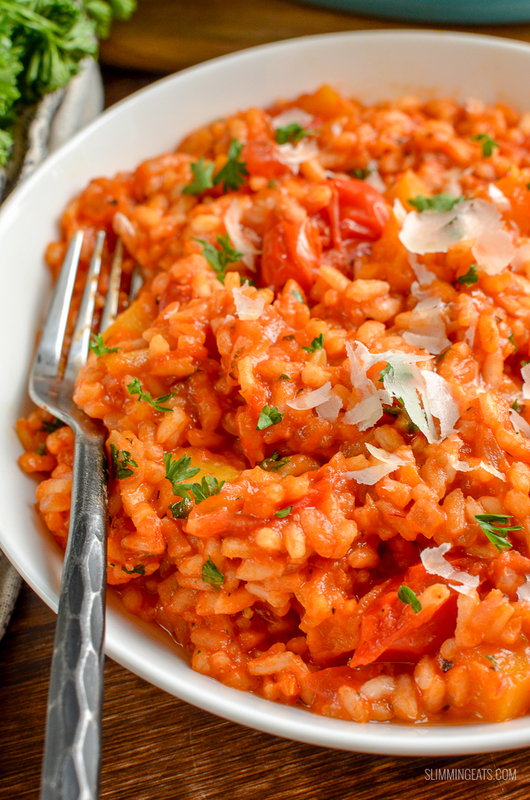 TO MAKE THIS DELICIOUS THIS ROASTED BUTTERNUT SQUASH AND TOMATO RISOTTO? Toss the butternut squash in the paprika and add to a baking tray lined with parchment, along with the tomatoes. Roasted for about 25-30mins until the squash is caramelized but still has a slight bite and tomatoes are softened. Spray a large frying pan over a medium high heat with some cooking oil spray and saute the onion and garlic until softened, add a little water if need to prevent sticking. Add the arborio rice and mix well. Then start adding a couple of ladles of the passata/stock at a time, stir constantly and scraping any bits sticking to the bottom as you do. As your stock is absorbed add a couple of more ladles and continue until passata/stock is half gone. Add in the roasted tomatoes and butternut squash and the remaining passata/stock and stir well. The rice should have a slight bite to it when ready. Season with some salt and black pepper and top with some freshly chopped parsley. If using the parmesan cheese, stir in half of the cheese and top each portion with a little of the remaining. 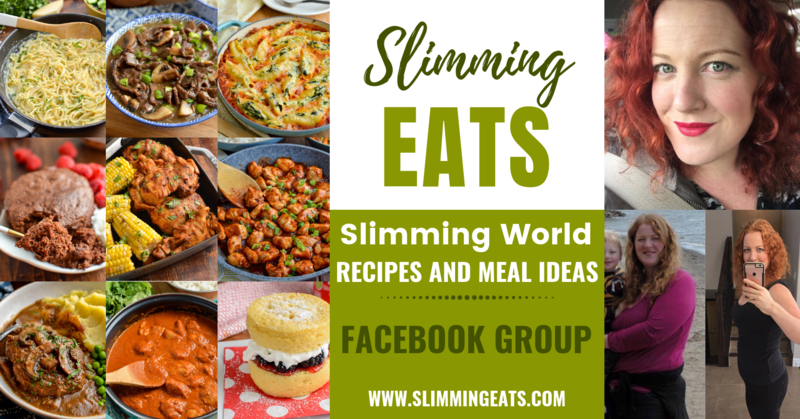 Just made this today….one word….delicious ! Oh wow! This is fabulous. Will definitely be making again. 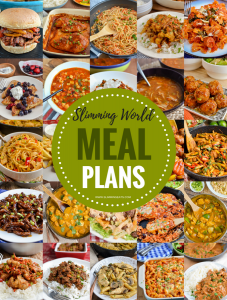 Delicious, easy and cheap. Whole family loved it. Used my HeA for the cheese.